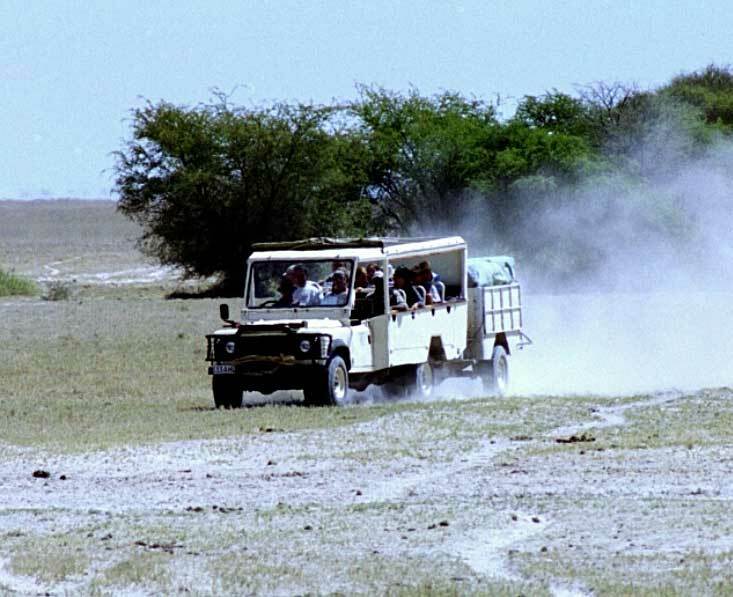 In essence, on a mobile safari you are driving from place to place in a 4x4 safari vehicle with a professional driver-guide staying with you the whole time. 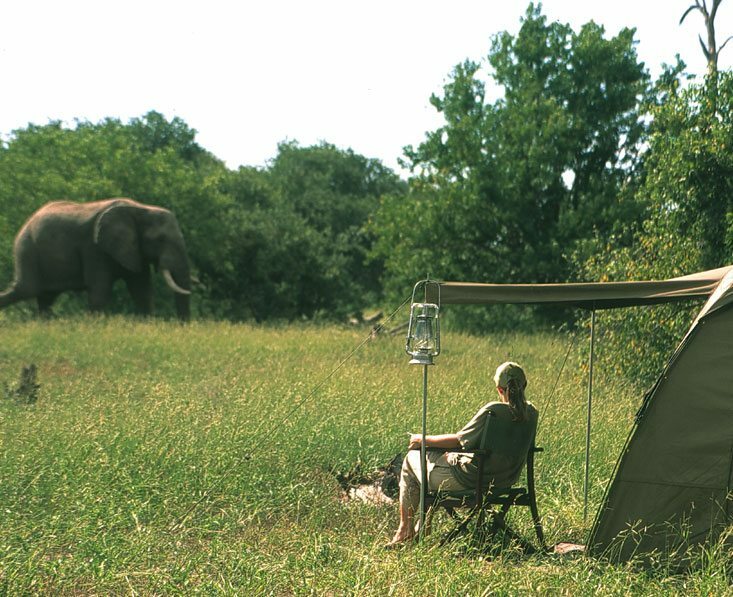 All the mobile safaris we offer use wilderness camps. These are areas of wilderness defined by nothing more than a GPS reference. There are no facilities and no fences. Importantly, there is also no-one else here. It’s your own space – or rather you’re welcome to share it for a while with the wildlife. Read about what it’s like to camp out in the wilds of Botswana. There are different standards of mobile safaris. The most basic is a fully-participative group camping trip, where you help put tents up and down and get involved with camp chores like cooking and washing up, and where you have a dome tent with a ground mat and sleeping bag, and shared loo tent and shower tent. There are also semi-participative mobiles and also mobiles where the camp staff do everything for you. These trips tend to have slightly larger tents, with camp beds and bedding. The next step up is to have an en-suite bathroom attached to your tent, with a drop loo and bucket shower. After that things are mostly the same (ie quite large en-suite tents with proper camp beds) but they get more luxurious, spacious and more comfortable, with better food and wine at the table and so on. 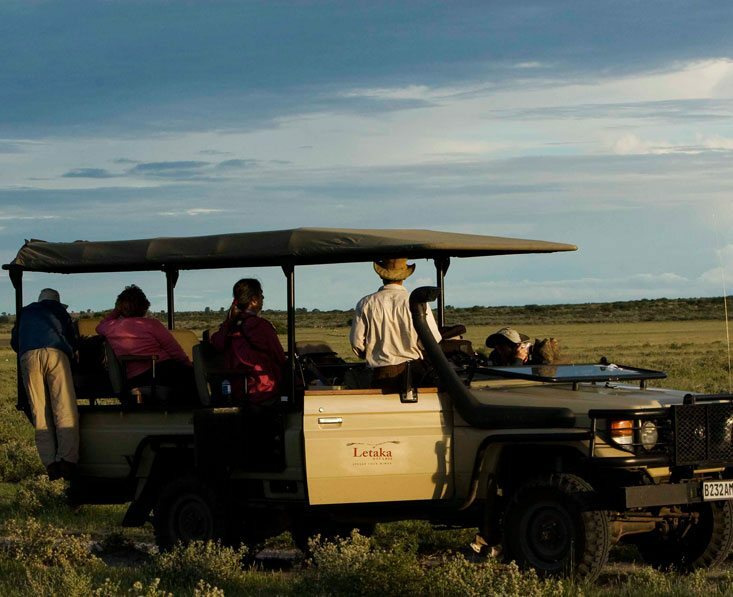 A mobile trip could be a private safari just for you (whether you are 2 people, a family, or a group of friends) or there are set departure group mobile safaris which anyone can join so you’d be travelling with a group of like-minded wildlife enthusiasts. Almost all mobile safaris are based on camping. If you are on a private mobile, you could choose camping or lodges or a combination. On a group set departure there is a published itinerary which you follow, whereas if you decide on a private trip you can decide where you’d like to go (at the time of booking), depending on availability of campsites and/or lodges. Numbers on group departures range between about 12 for the more basic trips, to 6 for the more luxurious or specialist safaris. A safari to all the main parks without having to spend a fortune. 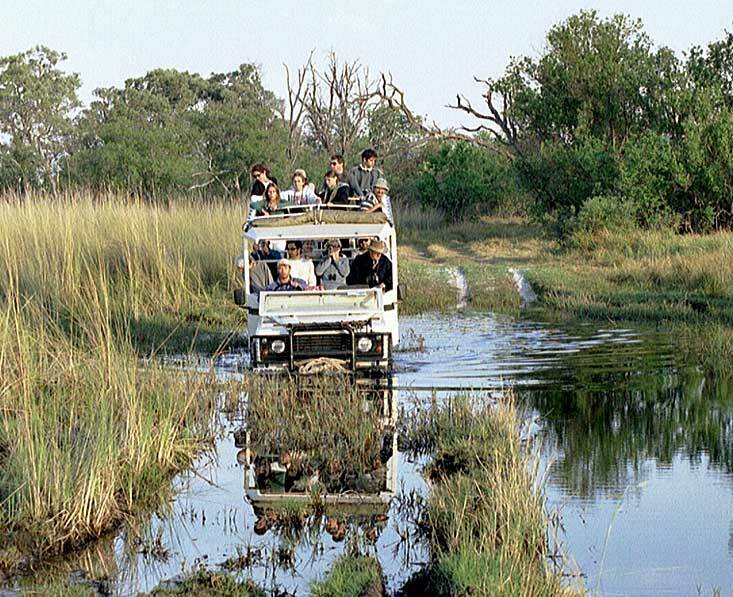 Explore the wildness areas of Botswana in a small group. A great value, semi-participation safari adventure covering a number of Botswana’s highlights, and the Victoria Falls. 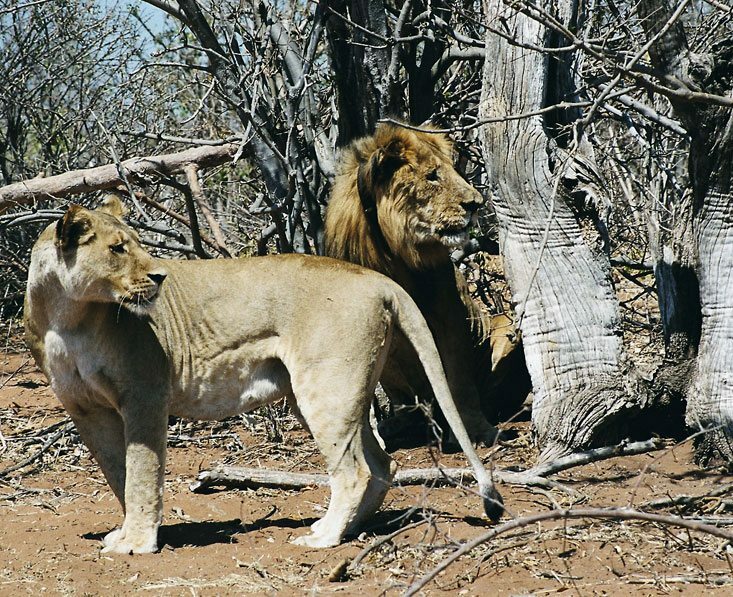 Get out into the Botswanan bush, game viewing by day, camping by night, for an immersive safari experience. An exciting group mobile safari showcasing Botswana’s varied scenery and wildlife culminating in a visit to Victoria Falls.